It’s very common in Malay wedding to see bunga pahar at the side of the dais where the bride and groom will sit for the merenjis ceremony. 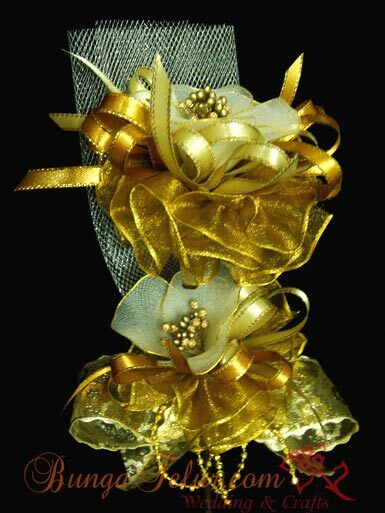 This one in gold and cream nylon bunga pahar is requested recently by a client for her sister’s wedding. In Malay community in Malaysia, it is very normal for the whole big family to get involved in one’s wedding. 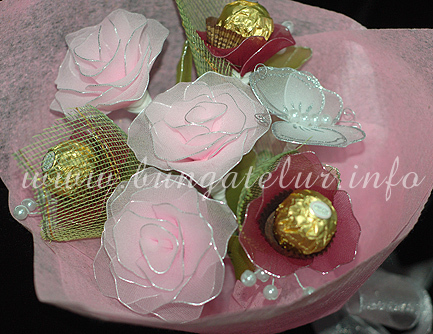 This bunga pahar will be fillled with boiled egg put in tulle and tied with ribbon. This bunga pahar will be put in a special vase, usually 50 sticks each side. 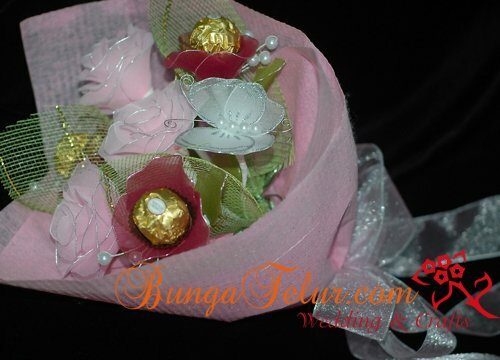 During the merenjis ceremony, each special guest and family who takes part in the ceremony (a blessing for the couple) will be given this bunga pahar as a souvenir. Nowadays instead of boiled eggs certain people choose to change it with potpourri, chocolates or candies. It was believed that the eggs symbolize fertility and people who attend the wedding and are given the bunga pahar with eggs will pray and hope that the couple will be blessed with many children throughout the marriage. I have just completed the chocolate basket for a client. 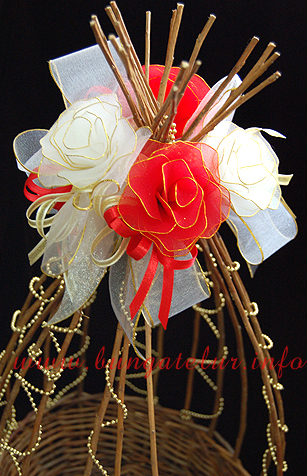 The decoration still use the basic of nylon rose, this time in red and white as per wedding theme. This is the close up of the flowers. 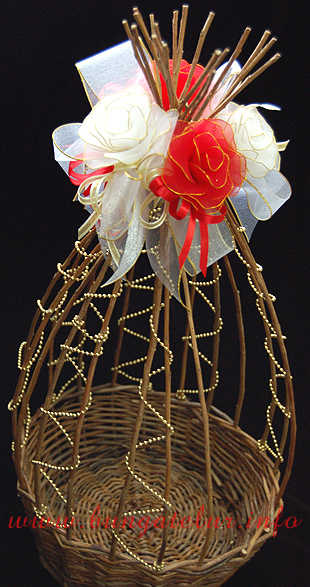 This is one of the example of what you can make out of your nylon rose. Do about 3 stalks of the rose in any color you like, add a simpler design to hold the chocolate and put some pearls as embellishment. Perfect for Valentine, Mother’s Day or birthday bouquet. This one was specially requested by a client who would like to surprise his girlfriend for Valentine. I hope she likes it!